What is one way to make your new Samsung Galaxy Nexus better than it already is? How about adding Flash onto it? That’s right, head on over to the Android Market now and you can download the application that was one of the biggest Android selling points as an OS. There was some fear that Flash would never make it onto the new Nexus after Adobe’s closing of it in the past couple weeks, but everyone that got on the Android 4.0 train should be set to go now. 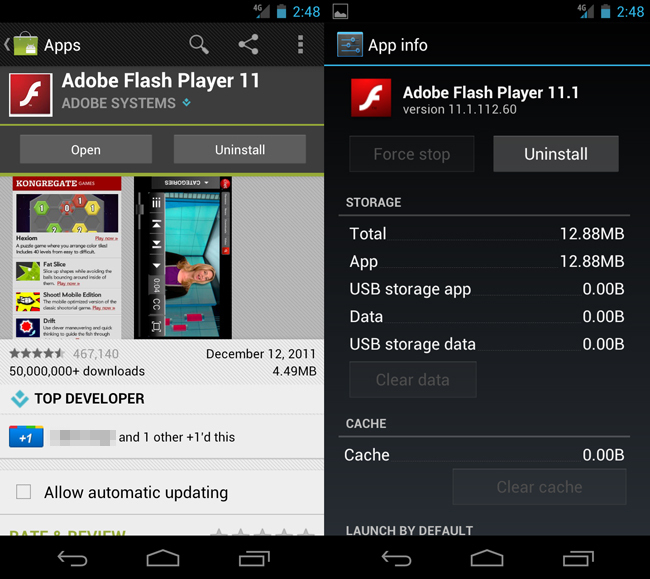 Adobe has made good on their promise to provide us with an application that works with ICS and we are going to enjoy it.